Hey there! I hope everyone is enjoying President's Day! I had it off - a nice 3 day weekend...love those :) It was much warmer here today...it actually got into the 20's! We've been having negative numbers the last few days. We're due for another 5-8" of snow tonight too. But what do you expect for February in NY. My BFF-Pinterest :) turned me onto Altered Books recently and I've been so excited to start one. I started my 1st one last weekend as a test and plan to use it as kind of a zentangle/doodle/found words poetry journal. I turned my niece onto them and she joined me today to get some started. If you notice the title for today is Altered Books Part 1...I plan to blog as I go along and work on the book. 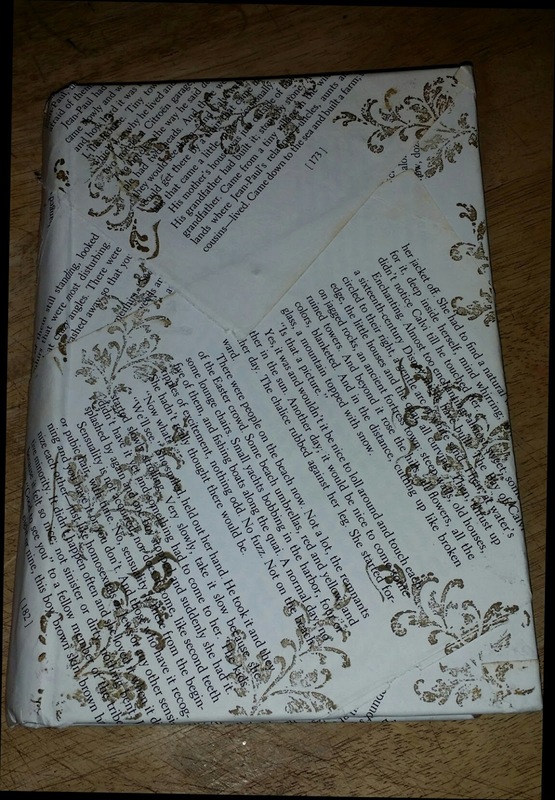 If you don't know what an Altered Book is definitely check out Pinterest and see some of the amazing things people are doing with them. 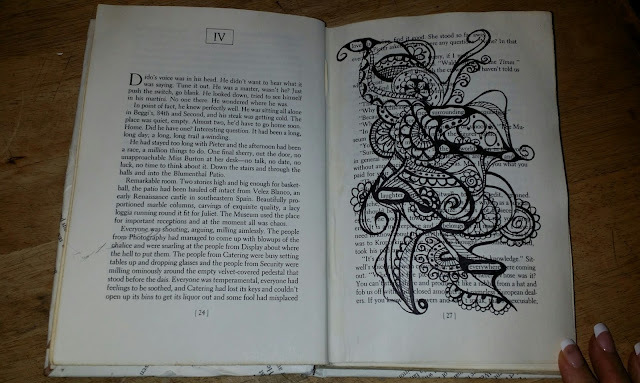 Basically you take an old book and alter it into a work of art by painting, drawing or cutting the pages. The options are endless! I'm so intrigued by all the possibilities! 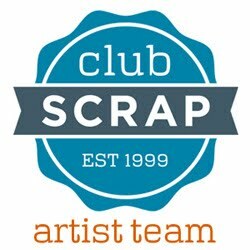 I figured I'd better get one started now before I start as a member of the Club Scrap Artist Team March 1st and maybe not have as much time. Part of the process is picking the right book and preparing it for "creating." 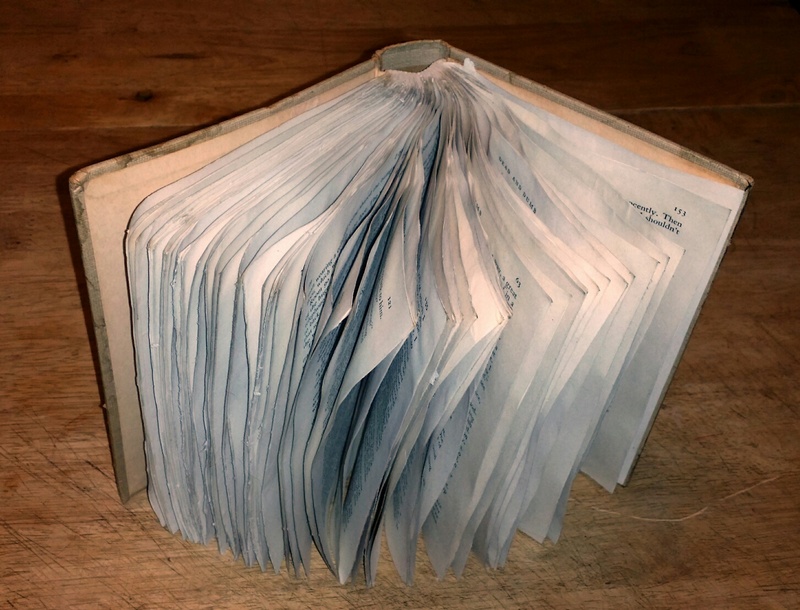 You really need a book that has a sewn binding not a glued one. The sewn binding holds up much better against the pounding the pages may take with paint, ink, whatever you add to it. 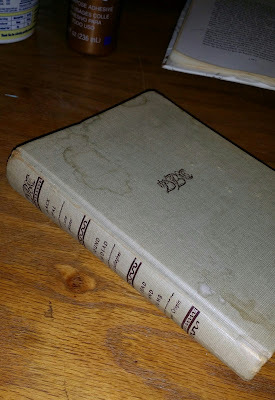 Older books tend to have sewn bindings ad it's pretty easy to tell. You should be able to bend the spine back like the photo below. You can also see the stitches when the book is open. I work for a not-for-profit agency and we have a thrift store-I've found many good choices there. I tore out some of the pages, maybe every 3 or 4 to thin it out a bit. I use a metal ruler to tear against so it's a nice clean rip. Be careful not to get too close to the center or the page on the other side of the signature may fall out too. 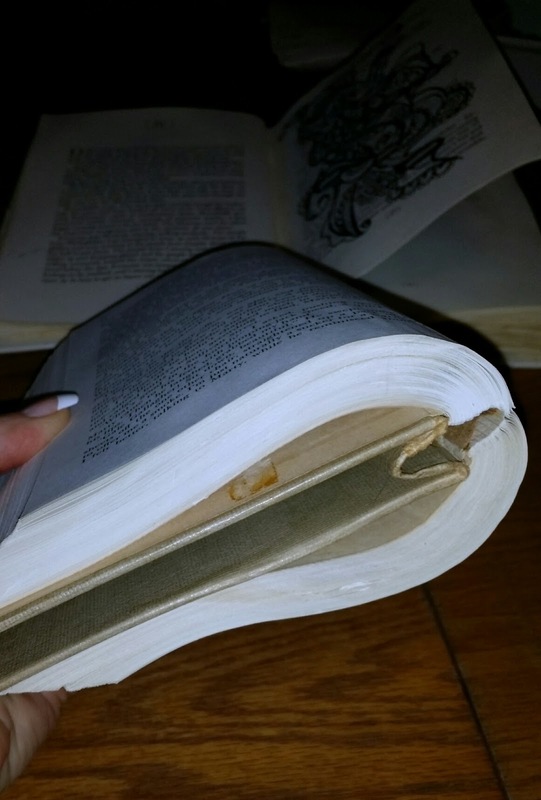 Above is the book after ripping out the pages. As you can see the book is thinner on one side-this is what you want. Now there's room to add layers of paint, paper etc-the binding can handle the extra stuff you add to it. I save the ripped out pages as you never know what you can use them for. Yes, I am a bit of a craft supplies hoarder, but aren't we all? 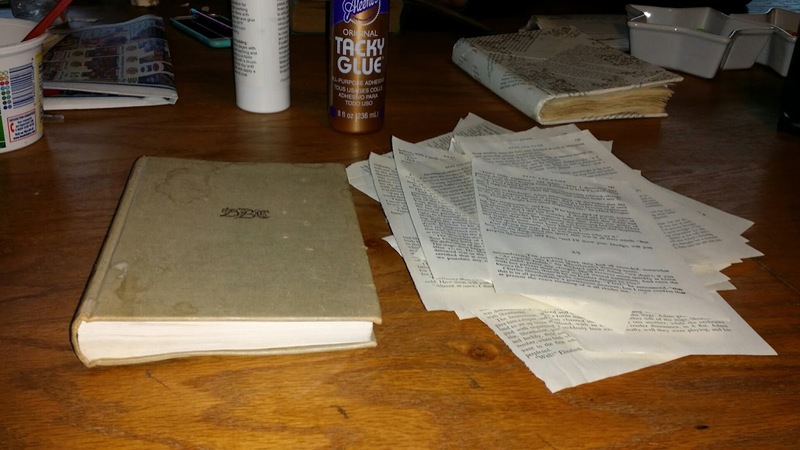 The next step is gluing some pages together. This really depends on the thickness of the paper and what you plan to do with them. 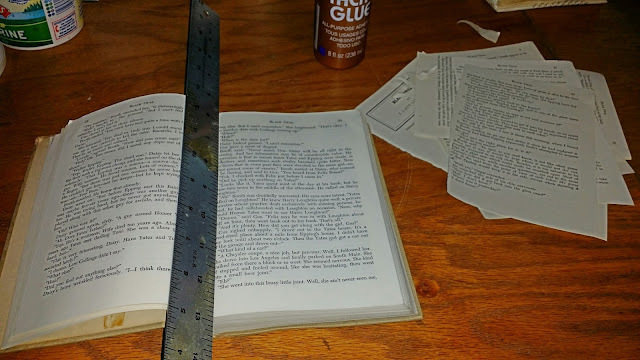 My 1st book had pretty thick pages but I still glued some pages together. I kind of randomly glued 2 or 3 pages together and left some single as an experiment since I don't really know what I'll be doing to each page yet. For the book for my Mom and I, I glued 3 pages together since the paper is quite thin. I used Aileene's Tacky glue and thinned it out a bit with water. 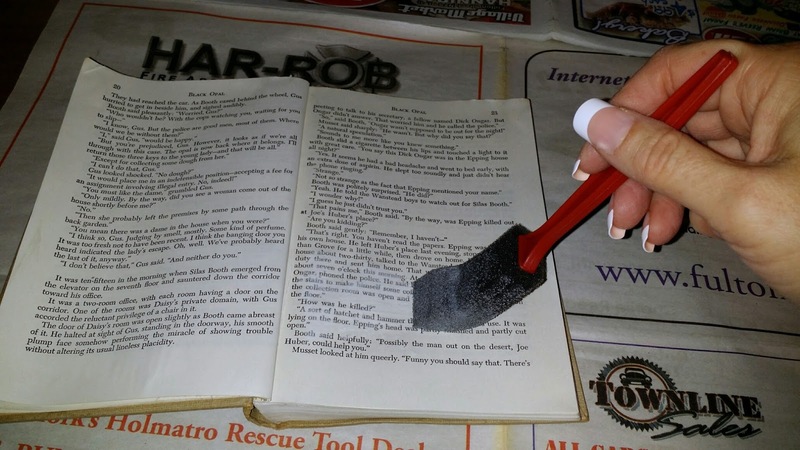 I applied it with a foam brush evenly over the entire page. I wanted a nice smooth coverage and didn't want to see the glue lines of just squeezing it out of the bottle onto the paper. I applied the glue and then smoothed the page flat against the other page with my hand. That worked pretty well. After I finish gluing all the pages I open it up like above and place on my furnace register to dry overnight. The next day I'll have to close it and put some weight on it to flatten it out. This is as far as I've gotten on the current book for my Mom and I. This is the cover of the 1st book I made. It's not finished yet but I couldn't wait to get started on the inside pages! 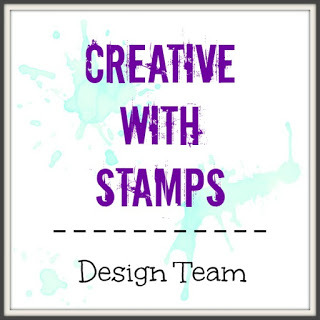 I glued some of the ripped out pages to the cover and then just stamped around the edges so far with a stamp from Stampin Up's Timeless Textures stamp set-which I love BT dubs. I loved the idea of "found word poetry" and started on this page. You just find words on the page that create a poem or story or just interest you. Then create around them like I did here in this zentangle. The words I found created this poem: "Love is surrounding the world and laughter belongs everywhere." AAAHHH love it! 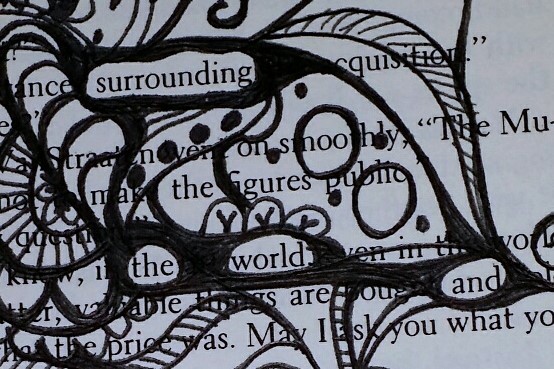 It's a little hard to see the words so I think I'll add some color to the "found words". I just love this concept! Here's a close up so you can see the words I found. I just drew around them and made the border bold. What a fabulous project. I can't wait to see how this progresses. awesome! just love this Idea, will be following along. What a great project for your Mom and you. I love the found-words poetry idea! I must try that some time.